History of Scientific Research in Puerto Rico: Prepared by José G. Rigau Pérez, MD, MPH, for CienciaPR. Dr. Rigau Pérez is a member of the Puerto Rican Academy of History. Astronomical Society of Puerto Rico - Nonprofit organization that promotes amateur astronomical observation and disseminates information about astronomy. The society is affiliated to NASA through the Puerto Rico Space Grant Consortium. CariCOOS.org - Website of the Caribbean Coastal and Ocean Observation System. It provides data, simulations and forecasts about tides, currents, waves, winds and other aspects of oceans and coasts in the Caribbean region. It also has educational materials for students and for the general public. Ciudadano Científico - The citizen scientist website of the Puerto Rico Conservation Trust. Take a look at their excellent educational events, which are typically free and open to the public! 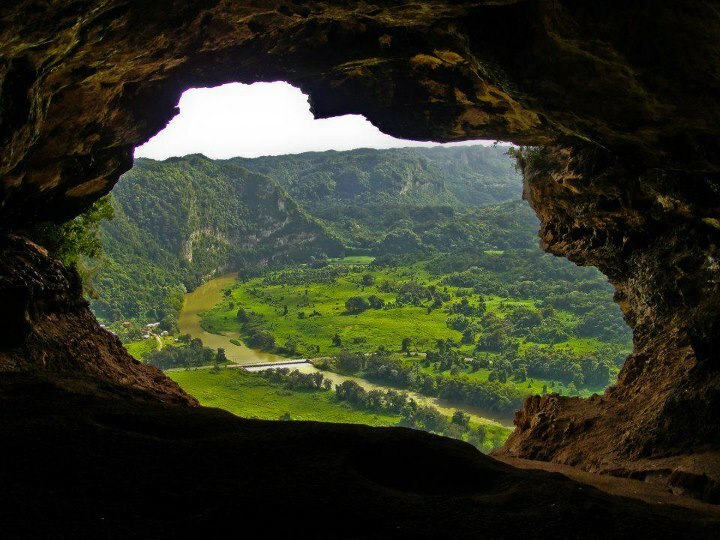 Foundation for the Speleological Research of the Puerto Rican Karse - To be member of FIEKP it is necessary to be committed to natural resources and to have an interest in exploring caves and cooperating to reach the goals of the organization. San Juan Bay Estuary Program - Conservation program for this extensive and important urban estuary in Puerto Rico. They offer many educational activities for the entire family. Puerto Rico eBird - News about bird watching in Puerto Rico. Citizen scientists may submit their observations and brwose through data about our birds. Puerto Rico Seismic Network - Part of the University de Puerto Rico, Mayagüez Geology Department. In addition to detecting, investigating, and informing about seismic activity around Puerto Rico, they also provide great educational resources. Regional Hurricane Center - Nonprofit and consulting organization dedicated to the study, forecasting, analysis, and research of weather conditions. Below we list the external science blogs of some of our CienciaPR Members. You can see all of the latest entries in these blogs on this page. And if you have an external science blog that you would like us to reference, please contact us to let us know. Biodiversidad de Puerto Rico - Essays and pictures about the flora, fauna, and ecosystems in the Isle of Enchantment"
Chipojo Lab - Blog by Dr. Manuel Leal, who writes about his adventures and experiences in research and mentoring as a lizard ecologist at Duke University. Agustín Stahl water colors - A collection of hundreds of water colors that botanist Agustín Stahl made of the flora of Puerto Rico. You can also find information about his life and additional studies about Puerto Rico's native plants from Dr. Pedro Acevedo. Biología Boricua - a podcast of informal conversations with biologists working in Puerto Rico about their research in all areas of biology, from the small (molecular biology) to whole ecosystems. Mirada Científica - Program from Enrique Vargas for Ciencia Puerto Rico featuring interviews and stories about interesting initiatives related to science and Puerto Rico. The podcast invites listeners to accompany the narrator in his visits and conversations with scientists, educators, students and citizen scientists. Microbe World - Educational program to improve appreciation and comprehension about microorganisms and the role they play in our planet. Radiocápsulas CienciaPR - The first podcast of Ciencia Puerto Rico! Brief podcasts (~ 2 mins) on new scientific discoveries explained "in rice and beans." Great for a young or general public. Voz del Centro - radio program that illustrates at the same time that it entertains. Gives the listener interesting topics about the history, culture and society of Puerto Rico and the Caribbean through interviews conducted by Dr. Angel Collado Schwarz. Many of its programs are dedicated to important scientific issues and to Puerto Ricans in the sciences. Want to see other organizations or resources on this page? Please send us additional suggestions.